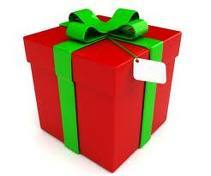 Remanufactured Ink Cartridge as a Christmas Gift | TonerGreen - Eco-Friendly Toners from the U.S. However, did you know that considering a set of remanufactured ink cartridges as a Christmas present is actually very practical and useful for your recipient? Here are some of the reasons that may convince you to add that printer ink into your Christmas shopping list. First, printer inks have already been considered to be one of the most expensive consumables that we constantly buy to supply our inkjet printers. Giving ink cartridges to your friend or co-worker would save him or her a lot on printing costs. He or she will also be using your gift for quite some time until it has been fully consumed, which can be very helpful for his or her printing habits. You are also giving your friends a chance to make their printing eco-friendly, since remanufactured printer cartridges are known to be made of recycled cartridges. This manufacturing method reduces the amount of waste going to landfills and it also conserves the resources which are commonly used in making new cartridges. Since it's Christmas Season, everyone loves to have handfuls of pictures taken on special occasions. With remanufactured ink cartridges, you get to print more than usual without having to pay more, which is great for those who love to take pictures too. Lastly, it won’t cost you that much to buy remanufactured printer inks in bulk since this printer supply type is known for its affordability with high quality printing. Have we convinced you to add printer inks to your list of Christmas presents? Well, go ahead. We’re pretty sure your friends or anyone who’ll receive them will find your gift very handy.